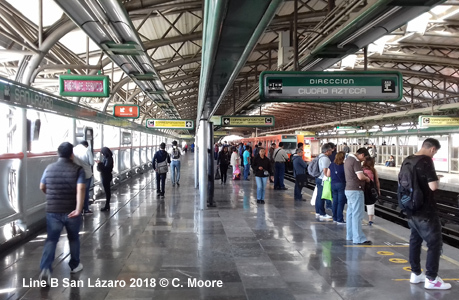 The capital city of Mexico, Ciudad de México - Distrito Federal, is home to some 8.8 million people. 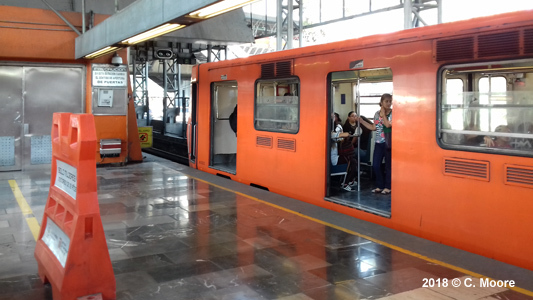 The metropolitan area extends beyond the D.F. 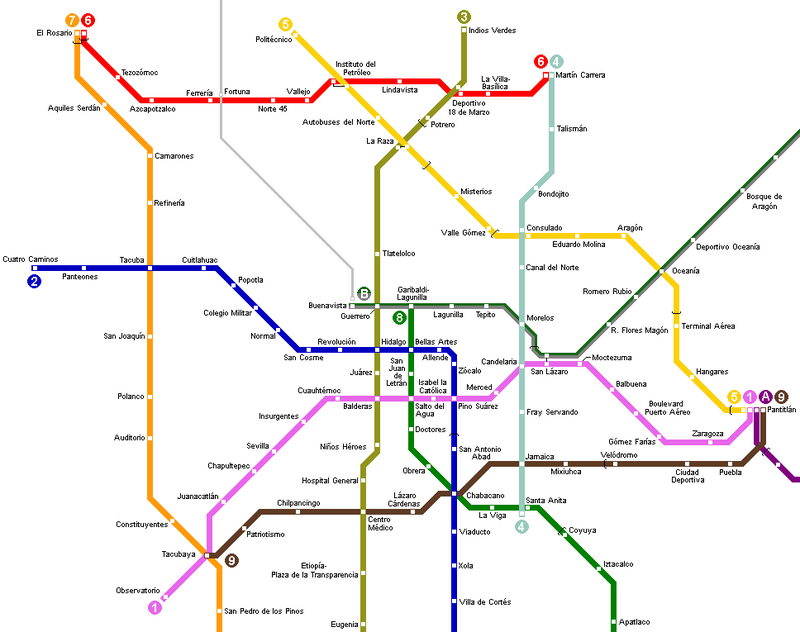 borders mostly towards the north and east, with several more millions of inhabitants. 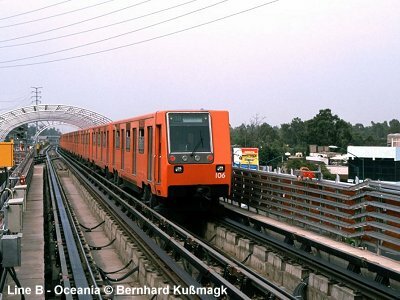 Besides the metro, the city has a light rail line which is linked to the metro system at the southern line 2 terminus. 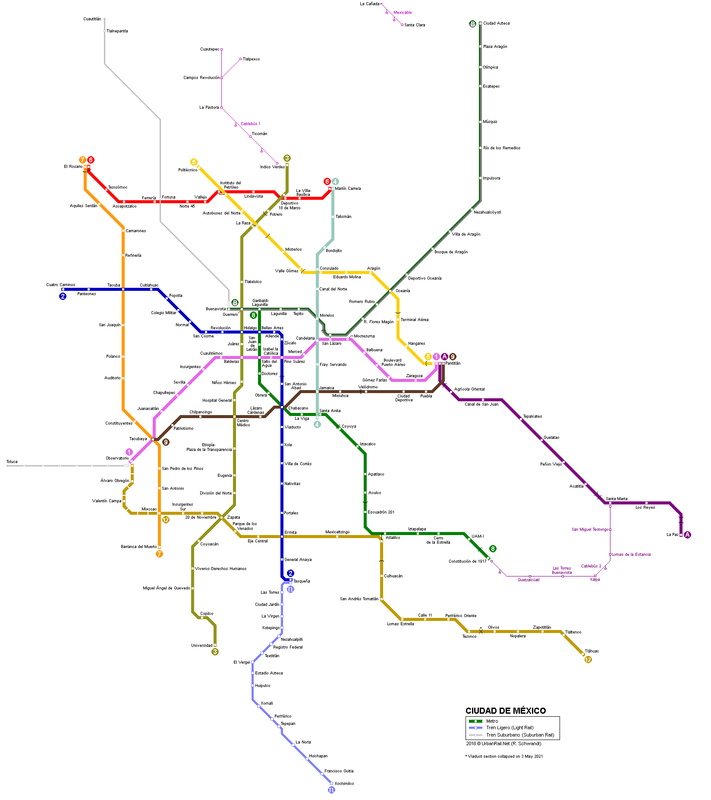 So far, a single commuter rail line connects the capital with the northern metropolitan area. 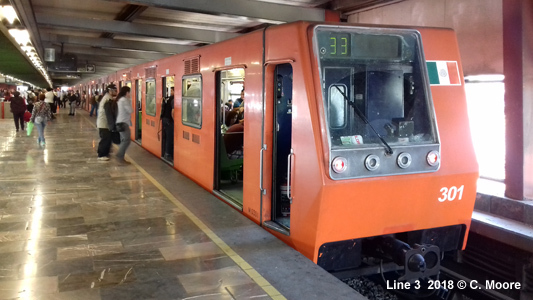 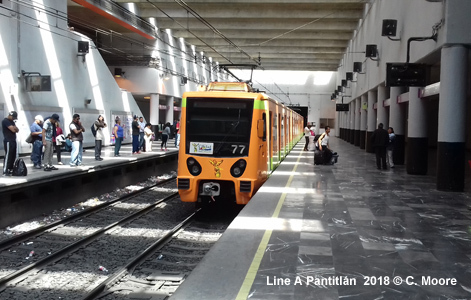 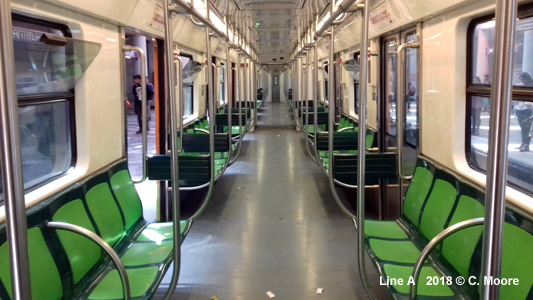 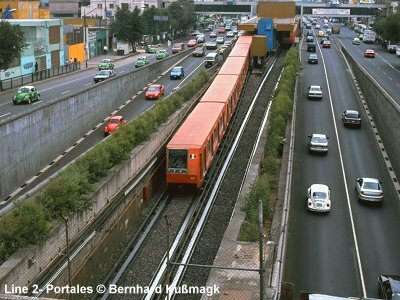 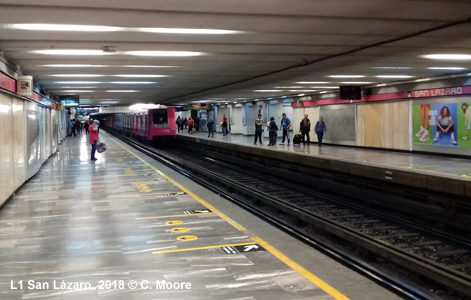 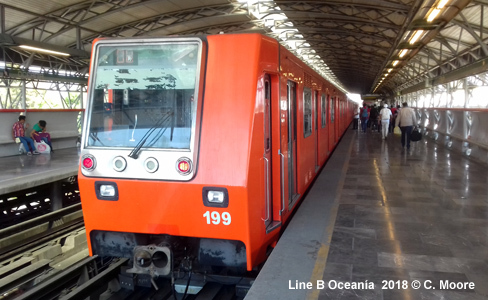 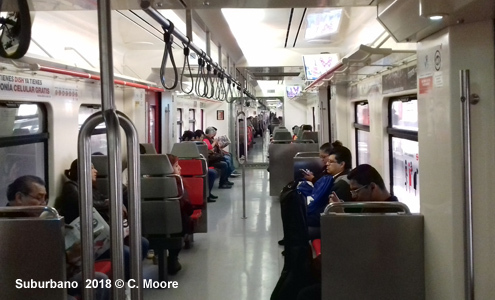 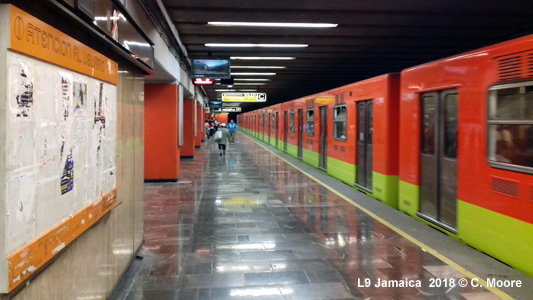 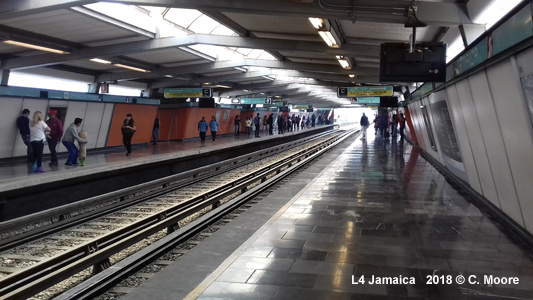 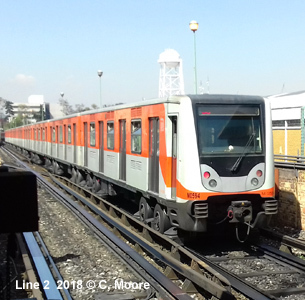 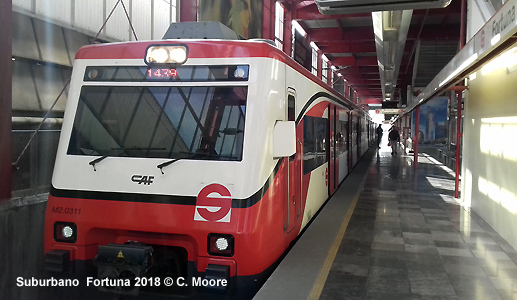 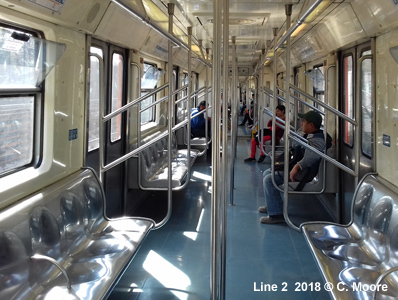 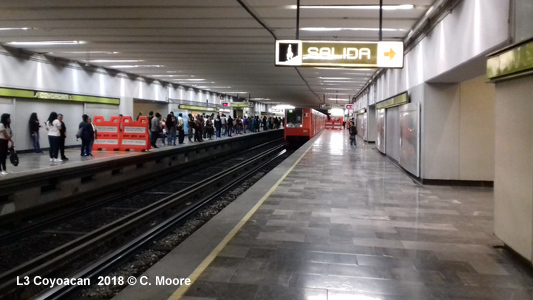 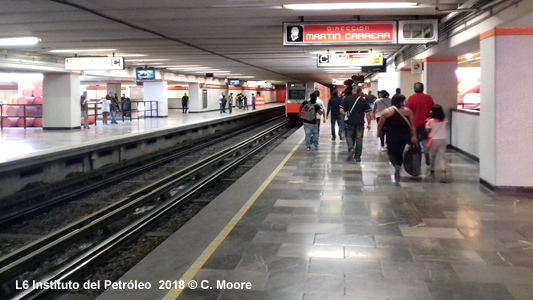 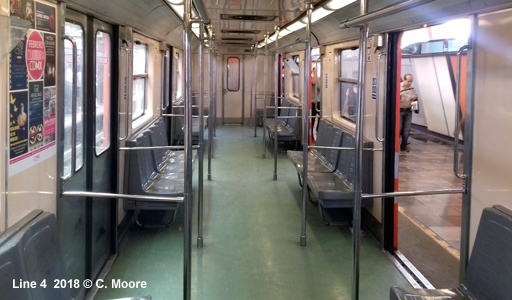 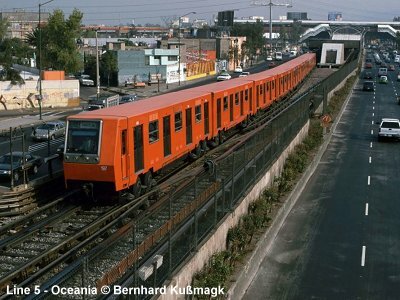 Total length of Mexico City Subway is now 176.8 km (201.7 km including service and depot tracks). 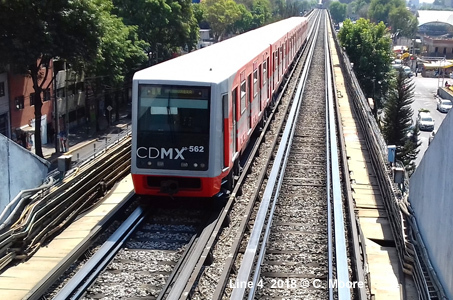 Except for line A, the trains of which have standard steel wheels, all lines use rubber-tyred trains like some lines in Paris and the metros of Montréal and Santiago de Chile. 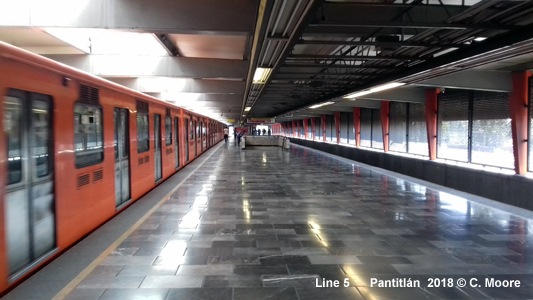 All lines have underground and surface sections, except line 1, which is completely underground, and line 4, which is entirely on the surface. 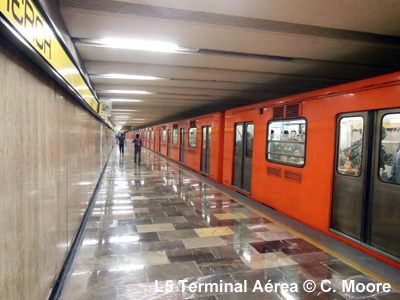 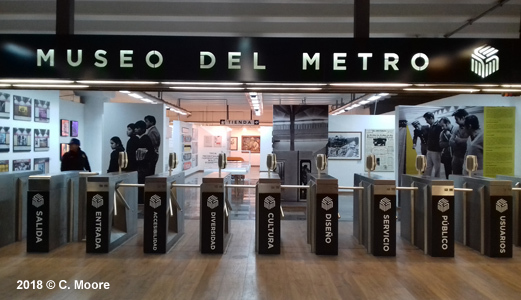 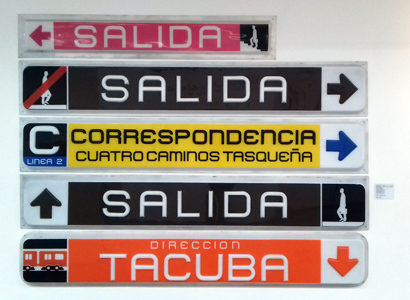 Mexico City was the first metro system to use symbols and colours for identifying stations. 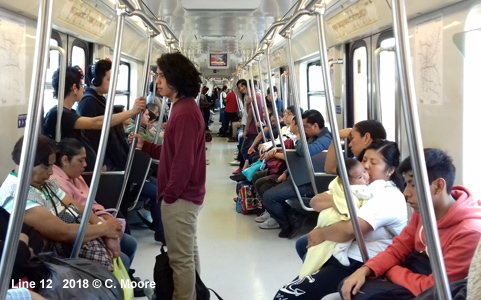 In Aug. 2007, the construction of Line 12 (gold line) was officially announced. 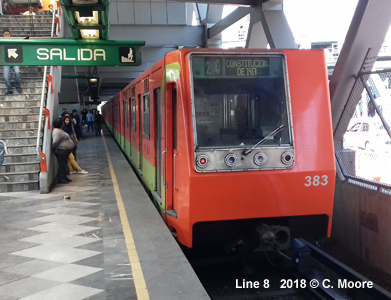 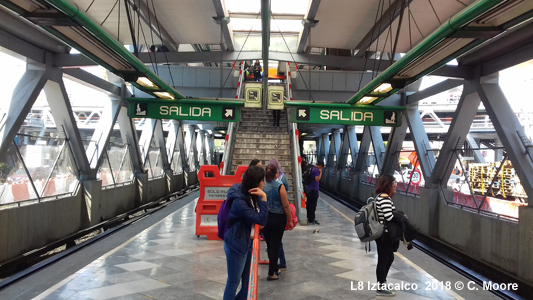 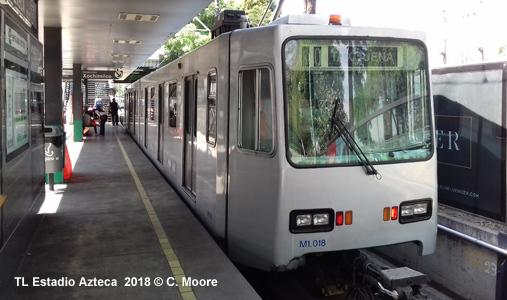 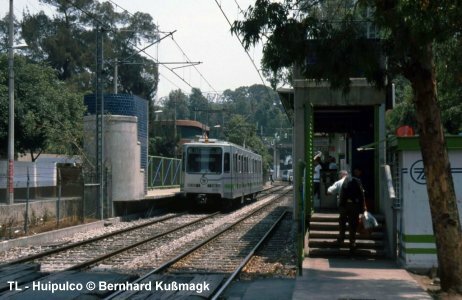 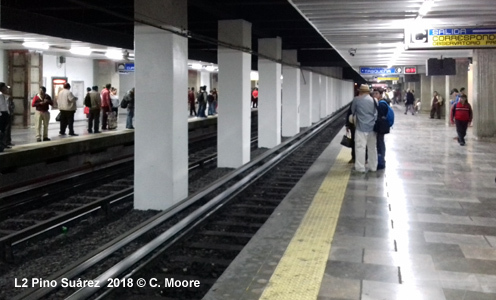 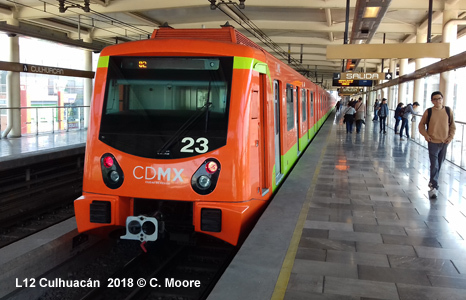 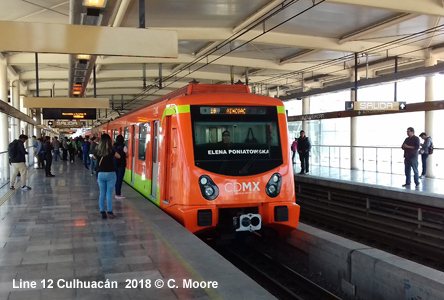 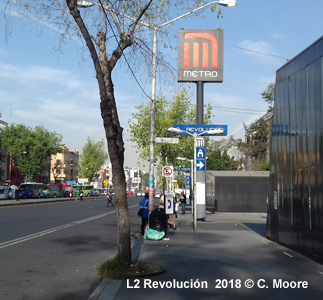 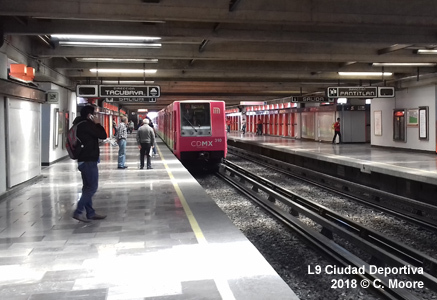 It runs from Mixcoac (Line 7) to Tlahuac in the southeast of Mexico City, intersecting with line 3 at Zapata, line 2 at Ermita and line 8 at Atlalilco (initially a new station had been planned on line 8 at Del Paso). 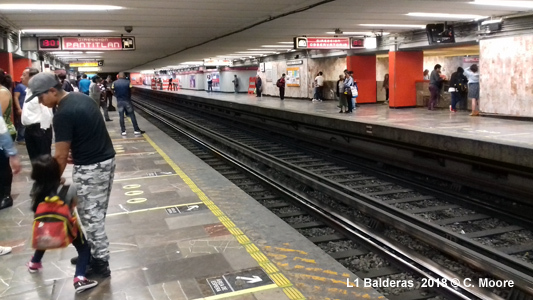 Although initially planned to be entirely underground, Line 12 was eventually built underground only along its western half, while the rest is partly at grade and mostly elevated. 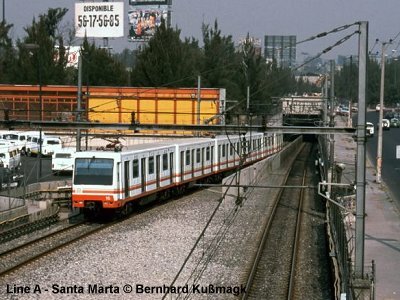 The first line of several planned radial routes opened on 01 June 2008, leaving from Buenavista railway station and heading north. 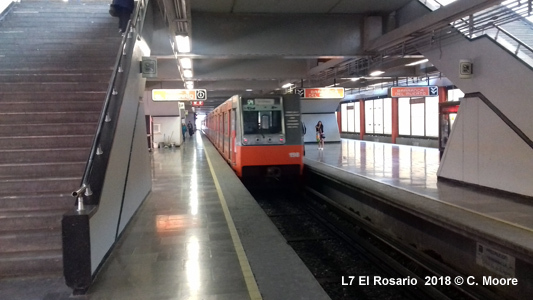 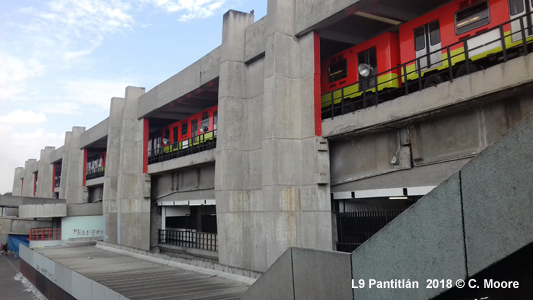 It intersects with metro line 6 at Ferrería/Fortuna station. 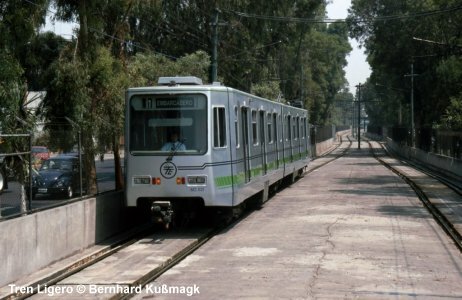 The initial 20 km line terminated at Lechería, with three intermediate stations, before it was extended 7 km to Cuautitlán on 05 Jan 2009, with two additional stations. 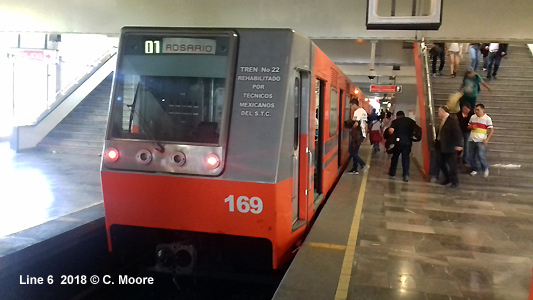 Trains operate every 6-15 minutes.